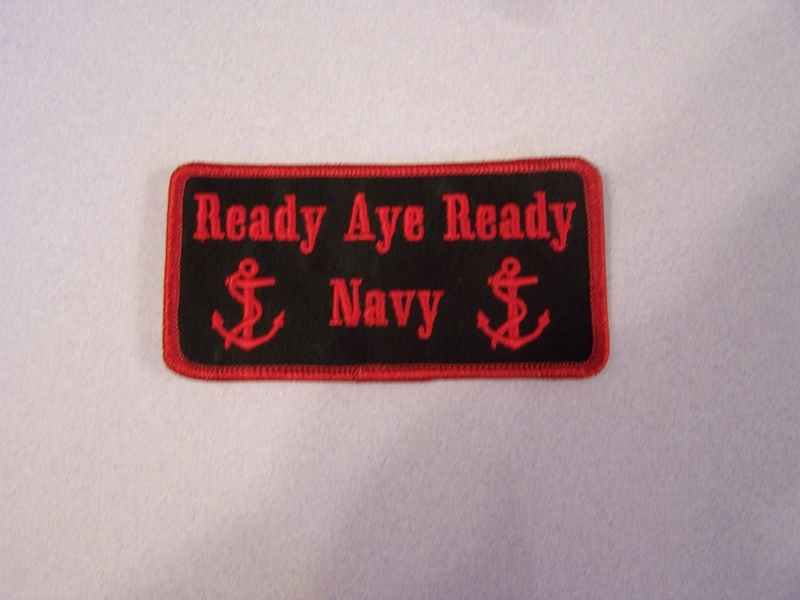 The Royal Canadian Navy has a pithy motto which they borrowed from their Scottish ancestors. It is “Ready Aye Ready.” This motto would be a good summary of the parable before us today concerning the 5 wise and 5 foolish bridesmaids. But before we look too closely at the parable and see what it is saying to us today, lets first pull back and get the bigger picture so that we will be sure stay in context. As you have already noticed today, 1st century Jewish wedding customs were markedly different from ours. Today bridegrooms don’t generally show up at midnight and bridesmaids have exchanged oil lamps for taffeta dresses which they are told will be able to be worn again but in reality they would not choose to even be buried in them. In Jesus’ day a wedding could be a week long celebration which culminates in the bridegroom coming to take the bride from her home to his family home, then having a feast and consummating the marriage. In that day they did not have a set hour for the wedding to begin as we do today. Thus there was a joyful expectation on the part of the bride because she did not know exactly when the bridegroom was coming. As the groom and his party approached it was the job of the bridesmaids to meet the wedding party and accompany them to the bride’s home. Since this was usually done in the evening it was the expectation of the bridesmaids to have their oil lamps ready to light the way for the groom and his party. I was really impressed this week by the brilliance of our lectionary that pairs this parable of the bridesmaids with the lesson from Thessalonians. This abused passage is often used to support an erroneous rapture theory even though there is no mention here of the church being whisked off the earth to avoid the Great Tribulation and then coming back later with Jesus some seven years later for the Real Second Coming. If I understand the theory correctly that is only after it is determined that the Antichrist is Henry Kissenger and the False Prophet is Spong Bob Square Pants. Perhaps I need to review the theory because I may have misread it. Anyway, the point of this passage in Thessalonians is to comfort the faithful with the hope of the resurrection and the return of Christ. As Jesus returns to judge the living and the dead, He will return with the hosts of heaven. Now see how well the understanding of the Jewish wedding fits with this picture in Thessalonians. Those who are alive when that happens will go out to meet the Lord like the bridesmaids who go out to meet the groom. They will accompany the Lord as He returns to receive His bride, the Church. With this understanding of a first century wedding and the role of the bridesmaids let’s look more closely at the parable. Since the story is about whether or not they had enough oil, it is common for people to wonder what the oil represents. Some of the Church Fathers suggested that the oil represented good works, others love but one bishop said that the oil represents the grace of the Holy Spirit. I believe this interpretation fits best since the oil used to anoint kings and priests and prophets in the Old Testament was a symbol of the anointing of the Holy Spirit. I want to draw our attention to the Old Testament lesson for a moment to underscore this point. In this stern rebuke from Amos we are told that God despised their festivals and did not accept their offerings and told them to take away their songs. To be honest with you my blood runs cold when I read these words because they indirectly address what can be the Achilles’ heel of Anglicanism if we are not careful. Obviously I love Anglicanism or I would be in the wrong calling. I was talking to a 7 year old last week, who regularly attends another denomination but occasionally visits St. Patrick’s with her grandmother. She said “I like this church, it’s not as loud as my church and you have food.” So even she gets there are positives here. But here is a potential negative. The external trappings are appealing. The robes are beautiful, the hymns are mighty and filled with great theology, the prayer book is inspired, and the rhythm of seasons and feasts has us live in a different rhythm than the world. All of that is good. But if we do not match what is going on in our hearts with all of these externals; if we do not rend our hearts and not just our garments, if we love the liturgy but not justice and righteousness, then Amos is speaking to us. God will despise our festivals and not accept our offerings and tell us to take away our songs. Years ago when the debates were ranging in the Episcopal Church I read a commentary in a magazine that was one of those shut my mouth experiences. The writer was saying that he did not know what all of the fuss was about because what he loved about the Episcopal Church was how open we were to all opinions. He was on the Vestry and he sang in the choir and I believe that he even taught Sunday School. He loved the pageantry and the smell and the bells and he claimed that it should not matter to anyone that he did not believe in God. Not to judge him personally, because I pray that his beliefs have changed since he wrote his commentary, but doesn’t that sound to you like a bridesmaid without any oil in her lamp? We need to be very deliberate that our rituals and ceremonial reflect what is going on in our hearts and not act as substitutes for unrepentant and unbroken hearts. I think of St. Paul’s famous words, “If I speak in the tongues of men and of angels, but have not love, I am a noisy gong or clanging symbol.” And so if we join even in the worship of the angels but it does not flow from the love of God, then we too are just making noise or worse according to Amos, we are making God angry. Ready, aye ready. That of course is the overall point of this parable. We do not know when the Bridegroom is coming so we need to be always ready. The groom coming at midnight is when the bridesmaids would least expect it, because they would still have a feast to go to. And so we can be assured that Jesus will come for His bride the Church also when we least expect it, and according to the Revelation to John, we too will have a feast to attend. So be ready, aye ready. This is what this parable is saying to us. If we are thinking that we will get around to the care of our souls once things lighten up at work or once a sports season is over or when we retire then we may find ourselves not ready when the Bridegroom returns. In the previous chapter in Matthew Jesus gives signs that the end of days are near and he says “And because lawlessness will be increased, the love of many will grow cold.” (Mt 24:12). That is a frightening statement but I have seen it happen and it something that I want to guard against in all of our lives. I have seen Christians repeat exactly what happened in the garden and allow lawlessness to enter in. They begin to question or stray from God’s Word and as they begin to live according to the world’s dictates rather than the dictates of Holy Scripture they find their love growing cold. That is when, if they do not repent and turn around, they slowly stray from the fold or disappear altogether. Sometimes I’ll get the “Gee I’m not getting anything out of Church anymore” speech while all along they fail to realize that what has changed is not the Church but their hearts. How do we avoid our love growing cold? One way is to live lives of conviction rather than lives of convenience. Let me say that again. We are to live lives of conviction not of convenience. Right after Jesus speaks of the love of many growing cold He says, “But the one who endures to the end will be saved” (Mt 24:13). Endurance does not happen through casual commitment it comes from having convictions and living according to them. Our marriage has endured 23 years for two reasons. First because Beth hasn’t killed me yet, but second because we both have deep convictions about the vows that we made before God. A brother I deeply respect told me that he announced to his family that unless they were sick or dead they would be in worship on Sundays. That is living by conviction. Making a commitment to give to God first rather than giving God what is left over is living by conviction. Embracing a rule of life that you will pray the daily office is living by conviction, because we all know that if you wait to have time to pray then you will never have time to pray. Fr. BE said recently in a sermon that love is spelt “T-I-M-E.” Just as with prayer, if we wait for a convenient time to serve others, or to spend time with our children, or to take a Sabbath, we will never find the time. We will only have the time if it is conviction and therefore made a priority. A life lived by conviction rather than convenience focuses us on the life God would have us live and this is a way to keep our love from growing cold. It is not difficult to love God when you know that you are walking in His will and you sense His pleasure. But the converse is also true. This parable can be receive as an onerous parable and be kind of frightening but it need not be so. It is only scary if you are a foolish bridesmaid. But let’s consider this parable from the point of view of the wise bridesmaids and even the point of view of the bride. If you are ready, aye ready, what is there to fear? Nothing. In fact there is everything about which to be excited. It is a time of joyful expectation. If you are a wise bridesmaid you have enough oil and so you are ready no matter how long the groom tarries. If you are the bride you know that your beloved is on his way and you will be joined to him forever, and all of you have a party to look forward to. So how do you know if you are ready for the Bridegroom? It goes back to the oil, it goes back to the grace of the Holy Spirit. The good news is that it is not a matter of being perfect. Even St. Paul admitted he was not there. He said in Philippians “Not that I have already obtained all this, or have already been made perfect, but I press on to take hold of that for which Christ Jesus took hold of me. Brothers, I do not consider myself yet to have taken hold of it. But one thing I do: Forgetting what is behind and straining toward what is ahead, I press on toward the goal to win the prize for which God has called me heavenward in Christ Jesus.” (3:12-14). If you are depending on yourself or hoping to be good enough or wanting to do enough good works in order to counterbalance what you have done wrong then you are going to run out of oil. But if you are looking to the grace of the Holy Spirit, the One who as we say in the Creed is “The Lord, the giver of Life,” then there will no end to your supply of oil. If when the Bridegroom comes, you are found walking in the Spirit then you will be ready. But if when the Bridegroom comes back you are walking according to the deeds of the flesh then you may find yourself locked out of the banquet. So be wise and don’t miss the party. Be ready, aye, ready.